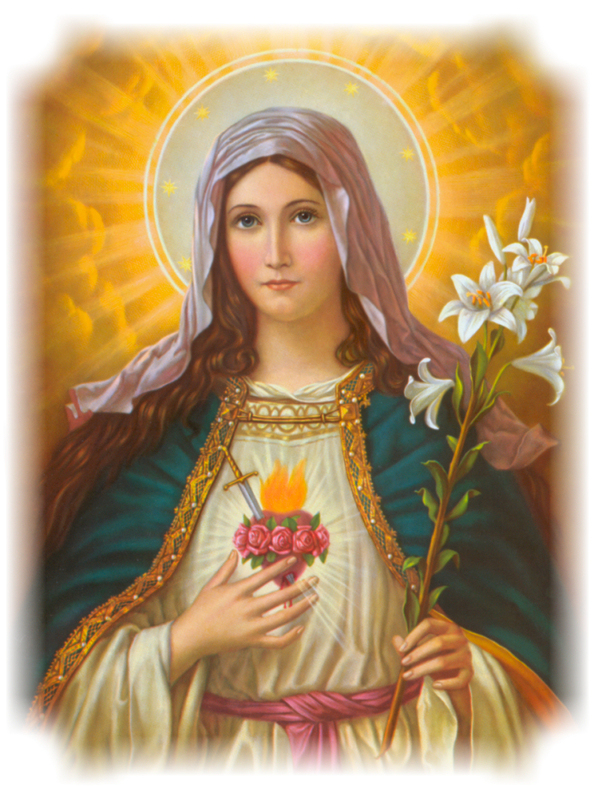 Remember, Our Lady of the Sacred Heart, what ineffable power thy Divine Son hath given thee over His Own adorable Heart. Full of trust in thy merits, we come before thee and beg thy protection. O heavenly Treasurer of the Heart of Jesus, that Heart which is the inexhaustible source of all graces, which thou mayest open to us at thy good pleasure, in order that from it may flow forth upon mankind the riches of love and mercy, light and salvation, that are contained therein; grant unto us, we beseech thee, the favors which we seek ... We can never, never be refused by thee, and since thou art our Mother, O our Lady of the Sacred Heart, graciously hear our prayers and grant our request. Amen.